Luke Soapwalker has returned to his home planet of Earth in an attempt to rescue his friend Hand Soap from the clutches of the vile gangster Rubba the Dirt. Little does Luke know that the GERMACTIC EMPIRE has secretly begun construction on a new foul dirt station even more dirty than the first dreaded Dirt Star. [queue maniacal laughter] Yes, my pretties…they have returned!! In this episode, I have gone beyond mere R0b0t soaps..! 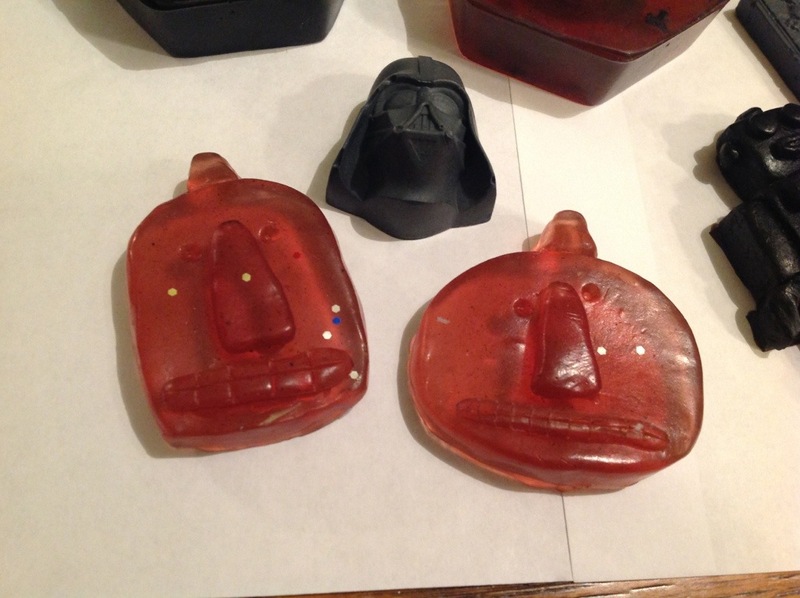 In a galaxy far, far away…wait, no, I mean right here, I have created a whole new concoction of delicious smelling, luxurious feeling soaps! I’m actually quite excited, as I got to use activated charcoal & hibiscus flower powder in this batch. After a bit of trial & error, I am pleased to say they turned out pretty nifty, & we’ve been using them like Lady Macbeth up in here!! Har-har! 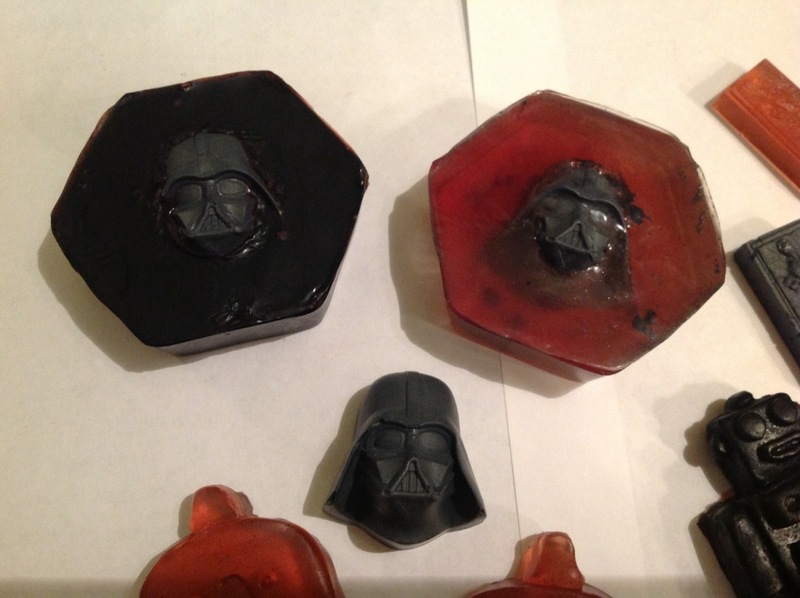 This Vader Soap is made up of SLS-free glycerin soap base with hibiscus flower powder added to it, & his head is made entirely from activated charcoal in mango butter base. I have scented him using a clean scent that makes me think of fresh laundry, but with a bit of a smokey smell, like a man’s cologne. Unfortunately, in my excitement I forgot to photograph that one, but rest assured it was super cool… Until we started using it!! Now it looks reminiscent of a space ship, haha! 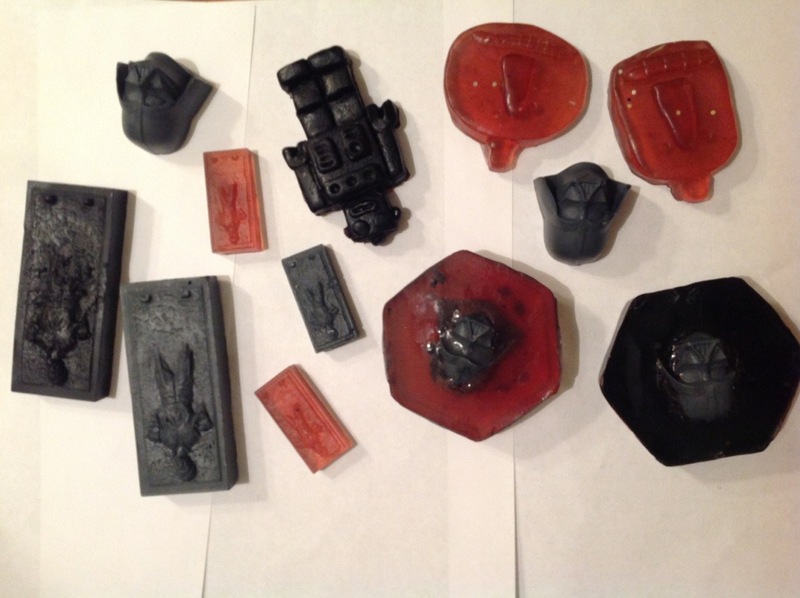 I’ll continue making soaps hopefully we can get some up in our Etsy shop soon. We’ve been thinking about renaming the shop to something shorter, like Cheeky Geeks, but we haven’t decided… What do you guys think? Should we stay 2 Geeks & a Grandma? 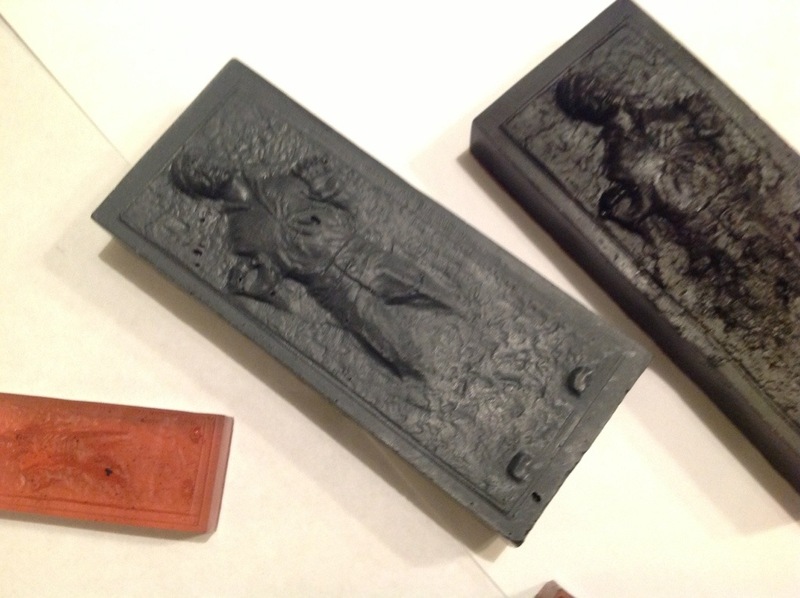 Also, what cool geek soaps would you like to see next?? 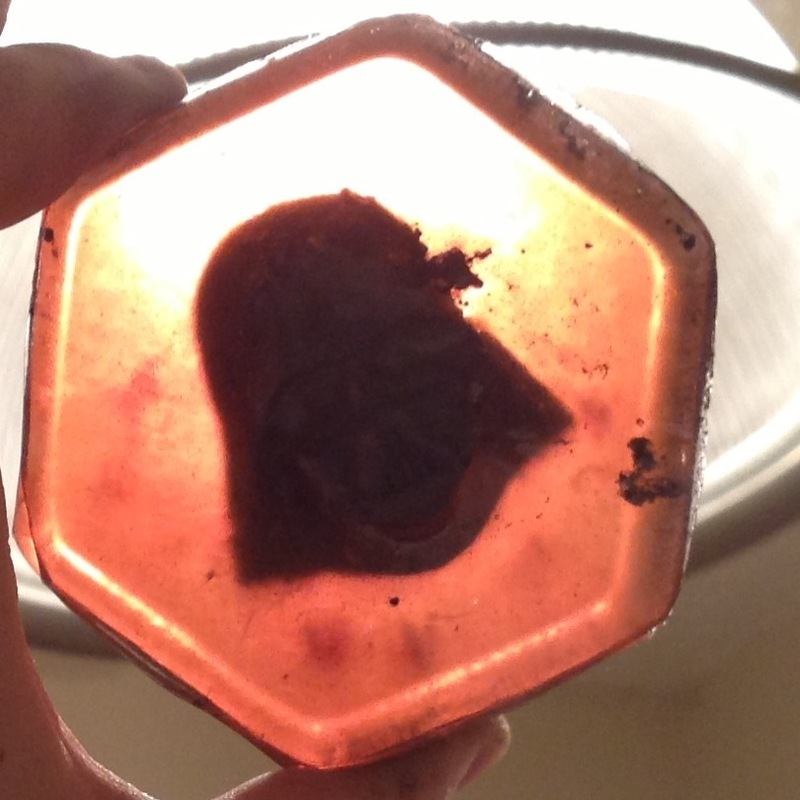 Geek soap?! 2 Geeks & a Grandma Wanna’ make a bet..? Treasury Tuesday : Robots!